Getting a travel itinerary for visa application is the most difficult and confusing parts of the visa process. Consulates insist on providing with confirmed flight and hotel bookings. But they do not recommend purchasing an actual ticket. They just want an itinerary. Did you see how confusing is that? They all mean the same thing. “Flight tickets”. Consulates understand the fact that a visa application does not result in a guaranteed approval. Therefore, they only recommend you to “hold” a flight reservation, not actually “purchase” the flight tickets. If your visa application is denied or delayed, you will lose the money that you have spent on the flight tickets. Airlines and insurance providers do not consider visa denial as a reason for refund claims. So, do not purchase your flight tickets until your visa application is approved. If consulates would like to see purchased tickets, they will specifically ask for it. 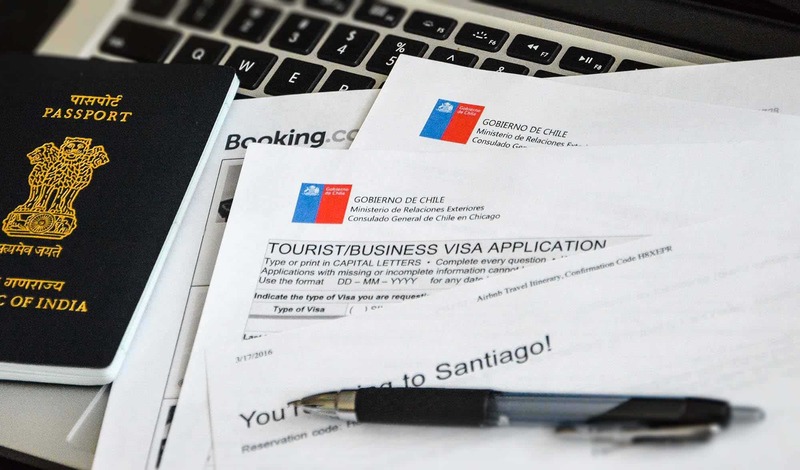 For example, Chile visa application mentions that you may have to show your purchased ticket on visa approval. Not every airline service every route. 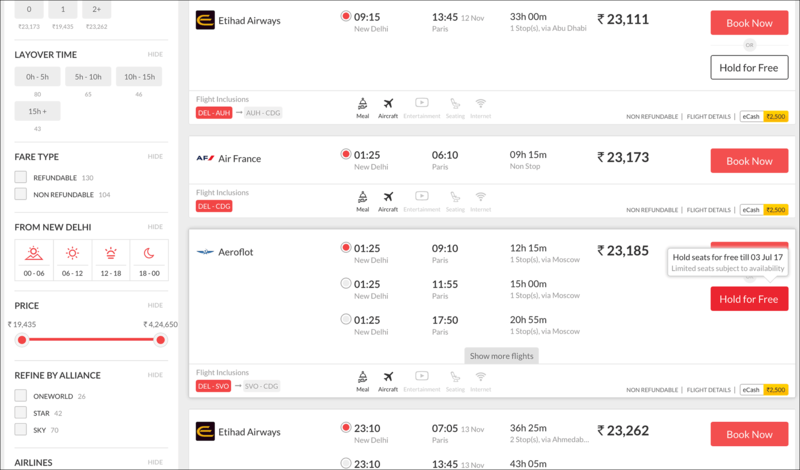 You have to play around with different airlines and different booking sites to avail the hold option. Below are 15 proven ways to get a travel itinerary for visa application. This is the best and foolproof option for your flight itinerary. A refundable ticket is a purchased ticket. No one can question its authenticity. Most airlines offer this option at a higher price. Usually 5-10 times higher than a non-refundable or sale ticket. Most airlines process refunds fairly quickly within a few days to a few weeks. Always purchase a refundable ticket directly from the airline website. I suggest you call the airline first inquiring about the cancellation policy of their refundable tickets. A refundable ticket is a valid ticket. You do not need to worry about the consulate verifying it’s authenticity. You need to pay for the ticket first which usually is about 5-10 times more than a sale price ticket. Refunds take from a few days to a few weeks depending on the airline. You also need to keep the credit card open to receive the refund. This is the second best method. Travel agents can hold tickets for up to 7 days. They may charge a small fee for this service. For just a small fee, you can hold a flight ticket for as long as 7 days. This option is good only if the visa processing takes maximum 7 days. There are quite a few online travel agents providing this service for a small fee. They can hold the ticket for up to 7 days. They also provide express service if you are in a hurry. This option works perfectly fine for visa applications. This service is offered free of charge for the airline award members. You must have a frequent flyer account and a few thousand miles to avail this option. It may not be useful for visa applications that take longer than 5 days to approve. Quite a few airlines have the option to hold a fare for up to 48 hours. This service is offered free of charge by the airlines. This option may not be used for visa applications that take longer than 2 days to approve. There are some online booking sites that let you hold a reservation for free. Some airlines allow you to hold your ticket for a small fee for a few days. Different airlines have different hold days and different fee. Usually, the fee is $5-20 USD depending on the hold days. This option works perfectly fine for United Kingdom visa applications. I have used a British Airways price quote email for my UK visa application and it worked fine. The UK is not asking for flight itineraries anymore for their visa applications. If they do for some reason, you can always use this option. You may not be able to use this option for visas other than the UK. 09. 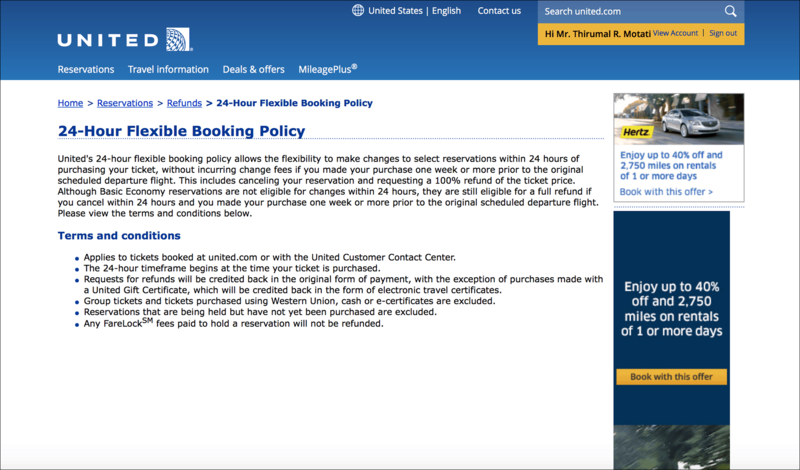 Free 24 hours ticket cancellation from United, Expedia, Orbitz, Priceline, etc. This is a great option as proof of onward travel or return ticket if you are availing Visa on Arrival. You have to time it well so that you are still in the 24 hours period when availing the Visa on Arrival. You can cancel the ticket right after you complete your Visa on Arrival formality. These tickets must be canceled within 24 hours. After that, you cannot cancel and cannot get a refund. This option may not be used for visa applications that take longer than 24 hours. There are a few onward ticket booking sites that provide this service for a small fee. They cancel the ticket after 24 hours on your behalf. These are great as a proof of onward travel for visa on arrival. You have to time it properly so the ticket is still valid while going through the visa on arrival formality. For a small fee, you will have a legitimate and verifiable flight ticket. This option may not be used for visa applications that take longer than 24 hours. There are a few online fake airline ticket generators. 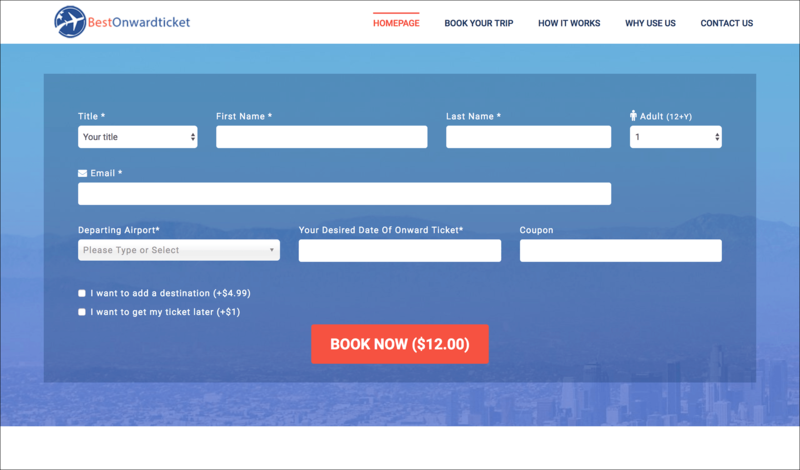 These tools generate a fake flight ticket that looks similar to actual booking. These bookings are not real and cannot be verified. This is an extremely risky option, so use it at your own discretion. Using dummy/fake flight tickets is illegal and against the law. If caught, you may be fined, prosecuted or jailed. Please use fake tickets at your own risk. Easy to generate fake tickets on the fly at your convenience. These tickets are fake and it’s against the law to use them. Purchase non-refundable flight tickets only if you are 100% certain that your visa will be approved. I have booked non-refundable flight tickets myself a few times. But, I was applying for a visa that I have applied a few times before and approved. For best non-refundable flight deals, use the booking site listed below. You have the actual ticket. No need to worry if the consulate verifies it’s authenticity. Since you bought it early, it probably was cheaper than purchasing after the visa approval. In the case of visa denial, you will lose the money since the ticket is a non-refundable ticket. Hotel itinerary is much easier to obtain than a flight itinerary. Many hotels and most hotel booking websites offer refundable or pay-at-check-in options. No pre-payment is necessary. Just book refundable hotels/hostels and cancel once your visa is approved. You have to remember the date by which the reservation needs to be canceled. Otherwise, you will be charged for the booking. Not all “pay-at-check-in or pay-at-the-property” bookings are refundable. Read the description carefully when making a hotel booking. Some booking sites let you hold a reservation by paying a small deposit upfront. You pay about 20% of the booking as a non-refundable deposit. You can cancel the booking after your visa application is approved. You will lose the deposit, but if you pick a cheap dorm room for a few days, 20% deposit will not be that much. For a small deposit, you can book a hostel dorm bed. You can cancel it right after your visa is approved. 20% is still a big amount if booking in cities like Paris where a dorm bed costs about €10.00 per night. You must make sure to remember the date by which the reservation need to be canceled. Book a non-refundable hotel/hostel only if you are 100% certain that your visa application will be approved. If you are re-applying for a visa that was approved previously with the same documentation, then there is a good chance that your visa application will be approved this time as well. Even in this case, I do not suggest to book a non-refundable hotel. But if you see a really good hotel deal that you can’t pass up, you can probably consider. Visa Reservation (Fee $50 USD) not $20. Thanks for letting me know Habib! I think they keep changing. 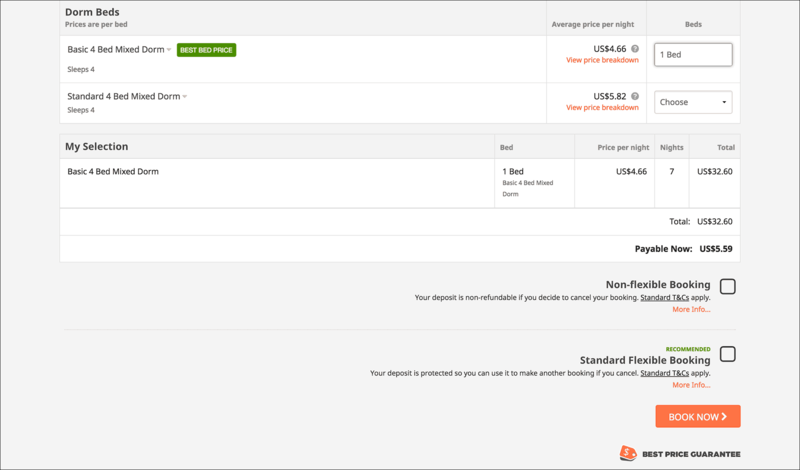 Now, it’s $30 USD for the basic flight itinerary on their website. No, they are not scams. They are online travel agents. But, make sure to pay using “PayPal”. If you do not receive the ticket or received an invalid ticket for your visa, then you can open a dispute in PayPal. PayPal will then refund your payment. That way, you will be on the safe side. Hope that helps! How long the flight itineraries will be valid? 2-3 months, till the visa gets approved? Not all itineraries are valid that long. Usually, itineraries are valid anywhere from 24 hours to 7 days. Turkish Airlines will let you hold a ticket for up to 3 months, but that’s the only airline that I know so far holds a reservation that long. Thanks Lucie! Great info. I’ll add it to the list. I’m Danish Imran from Pakistan. I’m applying for Malaysia eVisa. Can I use hold flight booking? Visa officers check my flight? Hi Danish! Yes, visa officers check your flight booking. But hold tickets are real flight reservations and you won’t have a problem using them for Malaysia eVisa. GOOD INFO. BUT DOESN’T WORKS ON ALL EMBASSIES. THANKS FOR SHARING. That is true. This is not an exhaustive list and requirements for embassies vary. Haha, thanks! Just fixed it. Do I need a flight itinerary / flight ticket for a UK visa ? I m pretty confused …these online visa travel booking say it’s needed ! UK wasn’t asking for flight itineraries at some point. Not sure if it is still the same case. So, the only way to figure this is to start your online visa application. You will then be asked to upload documents, so you will know if you need flight itinerary or not. You can save your online application and come back to it later. So, no need to get a flight/hotel itinerary before you start the application. So that means v need not have a flight itinerary na..? That’s correct. You were not requested for a flight itinerary. Therefore, you DO NOT need a flight itinerary for your visa application. Thanks for all the details mentioned, really a great site including all the info. 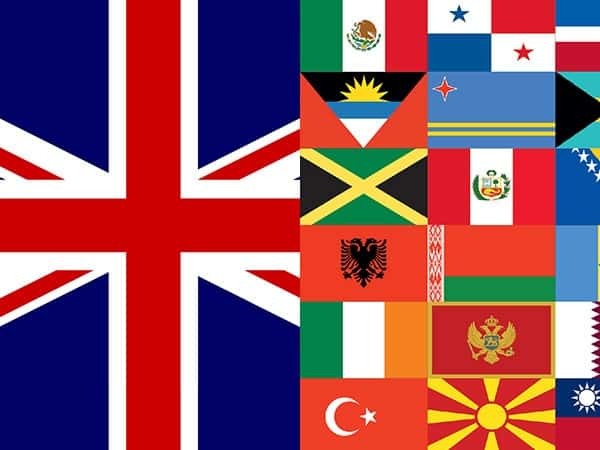 After hunting lot many websites for UK visa processing found your blog very helpful. I just need to know , I am actually applying for 3 visitors visa for UK. 2 adults and 1 child. So is the return journey tickets needed now also. As it would be, costlier to book the tickets. Can you suggest a option which is feasible, as UK visa process takes 15 working days. Does any airline provide flight reservation options so long. Hi Raina! Thanks for the kind words! First of all, NEVER purchase actual flight tickets before applying for any visa for any country. Even consulates make it clear not to actually purchase the tickets, instead will ask you to just book/reserve/hold the tickets. That being said, UK has stopped asking for flight tickets. It’s only in rare cases they ask you to send the flight tickets (again just book/reserve/hold) along with other supporting documents. If, for some reason, you were asked to upload or send flight tickets for your UK visa, try British Airways’s email price quote. UK immigration accepts that as a proof of flight tickets. I have actually used BA’s email price quote when I applied for my UK visa 2 years ago. You don’t need to hold the tickets for 15 working days. So, you can try the hold option on airlines such as Turkish Airways, Qatar Airways, American Airlines, etc. How can I the price quote? Can you please share the steps? I did not have to submit anything for online form but have to carry flight itinerary for interview for UK. The best option I’ve found till date only allows 24 hr itinerary which will be useless to me. – In the next screen, under “Check your flight details”, on the right side, you will see a link “Email price quote”. (travel reservation to and from Schengen area in your name, not a ticket), so does this mean I have to show the itinerary only to port of entry and departure country, or also for all the other countries I will be visiting in the Schengen area? My itinerary looks like this Budapest-Vienna-Prague-Paris-Amsterdam, and I plan to use road/rail transport for a few of the places, so please let me know how should my air itinerary look. – Are you planning to enter from Budapest and leave from Amsterdam? I can give you a more specific answer based on your information for the above 2 questions. But meanwhile, there are a couple ways to go about it. Since you are only showing an itinerary or booking (not actual purchased tickets), just pick one country. Say Hungary. Get a flight itinerary in and out of Hungary. Show hotel reservations in 2 or 3 different places in Hungary. After your visa approval, you can purchase your actual tickets to fly into Budapest and fly out from Amsterdam. Pick any two countries. Say Hungary and Netherlands. Show a flight itinerary to fly into Budapest and out from Amsterdam, but also another itinerary for Budapest to Amsterdam. 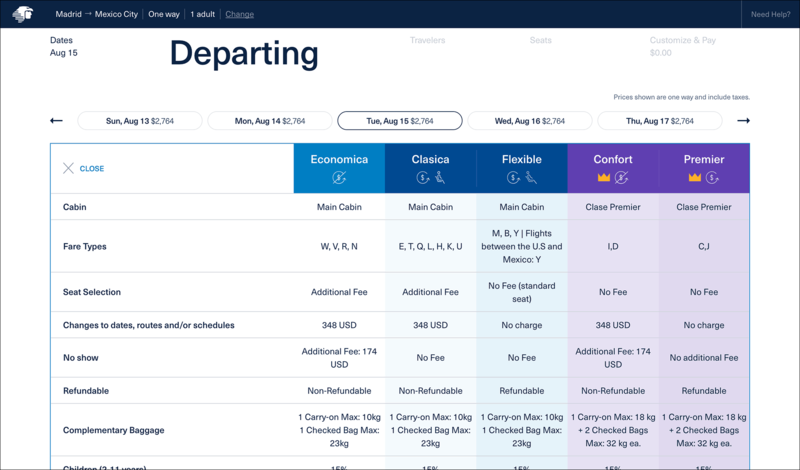 You will basically provide two flight itineraries. Plus provide hotel reservations in 2 or 3 cities in Hungary and Netherlands. After your visa approval, you can purchase your actual tickets to fly into Budapest and fly out from Amsterdam. Provide your flight itinerary as is (into Budapest and out from Amsterdam) and provide hotel reservations in all the cities you are planning to visit (Budapest, Vienna, Prague, Paris, Amsterdam). When submitting your application, just let the visa officer know that you will purchase rail/road tickets later since you are still researching cheaper options. Thank you for your detailed response. I plan to apply for visa for Czech republic as Prague will be my port of entry. The checklist says that I need to submit the flight reservation of return ticket. Does this mean confirmed ticket reservation? Websites like travelvisabookings.com are offering confirmed travel itinerary for a fee. How genuine is this and will this be accepted for visa processing? Hi Madhumita! Yes, travelvisabookings and other websites I have mentioned are all genuine. They are just online travel agents who will hold flight tickets for you. The reservation will be held for certain days depending on the airline. The reservation becomes void after that. Itineraries from them are perfectly acceptable for Schengen visa applications. Just make sure to verify the reservation on the airline’s website using the booking/PNR number right after you receive the itinerary from them. Very useful article. I am planning to apply for Schengen and plan to visit Netherlands ion my way to from Canada to India and Malta on the way back. I am not sure on the Malta plan yet so can I just get my visa based on my Netherlands stay and because the visa lasts for 90 days, I come back to Malta ? Also, with these airlines/agents holding the reservations, will I be obligated to buy the ticket with the 24 hrs-3 days or do I just print it and let it go void and then get a cheaper ticket later ? Does it matter to the embassy that the PNR is active etc ? I am very confused. Hi Lydia! Thanks! It’s difficult to predict if you will be issued a 90-day visa. Mine was valid for only 30 days. Whereas, many of my readers secured 90-day visas successfully. Therefore, it all depends on the country, consulate, location and itinerary. You will just let these flight itineraries go void. These itineraries are only for visa application and the PNR status will not affect your visa process. You will book better and cheaper tickets after your visa approval. Many thanks for this page. Do you think the embassies are checking the validity of the plane tickets? They sometimes do. That’s why you cannot submit photoshopped/fake flight tickets. They want you to hold the tickets for now and purchase them when your visa is approved. This works if the visa processing takes just a few days (say 2-5 days). Consulates that take longer know that you will eventually get different tickets altogether since your hold/reservation will not be valid for that long. I just found your site. Thanks for all the helpful information! We are trying to get Schegen visas. We have booked a cruise trip for end of May through early June (roundtrip from Rome, Italy), already paid in full. Now the question is if we still need an airline ticket for the visa since we have paid in full for the cruise? Thanks. Hi GQ! Thanks for the kind words! I understand that your cruise will start and end in Italy. But, are you flying into Italy to catch your cruise? If so, you would need to show the round trip tickets to and from Italy for Schengen visa application. For example, say you reside in India. In that case, you would need show roundtrip ticket from India-Italy and Italy-India. Also, make sure your Schengen visa is multiple entries as you enter Italy to catch your cruise is considered as entry 1 and when you return from the cruise to Italy again, it’s considered as entry 2. Hello sir, please, i wish to make a reservation for iceland and new zealand visa application for purpose of summer studies, please which airline do you recommend to book reserve for visa application? i think this is just reservation right? so no payment is needed upfront? but please, since some can only reserve for few days, what do you suggest about some application that takes month to get granted? wont the short days reservation be a problem? Hi Chris! Yes, just reservation. No payment is needed upfront. You should NOT purchase tickets before your visa is approved. I understand that some visa applications take a month to grant, but they still accept flight reservations that are valid for just a few days. Consulates and visa officers know this already. So, there is no problem with it. Thanks for one of the most exhaustive post on getting travel itinerary. I also admire your prompt reply to all queries. True selfless service indeed. Hopes you can help me with my problem regarding getting NZ visa. Would you know any airlines that offer fully refundable tickets, flying from Singapore to NZ. If there are none, then any insurance scheme that would cover Visa rejection scenario. Hi Aswin! You’re welcome! Thanks for the kind words! I’m not aware of any insurances that cover visa denials. Your best bet is to go for a (1) fully refundable ticket or (2) hold reservation. May I know what site or travel agency did you use to get a flight reservation to apply visa to New Zealand. I am also here in Singapore and wish to visa to New Zealand. Thank you. 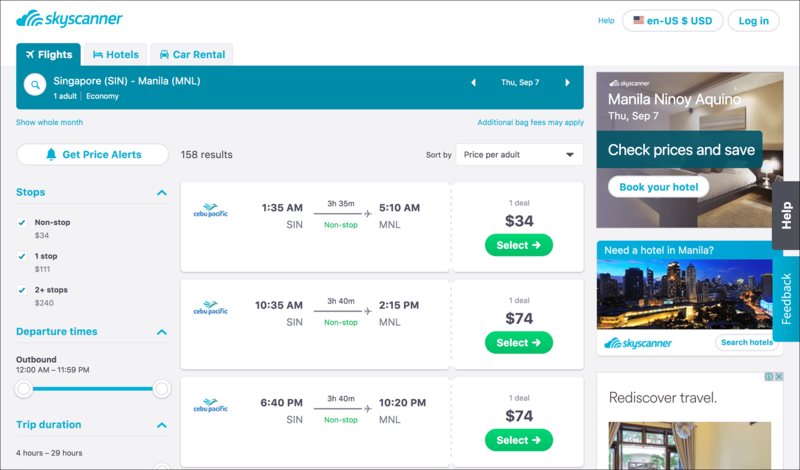 is this site genuine for reserving flight itinerary? Yes, those sites are genuine. But booking.com is only for hotel reservations. 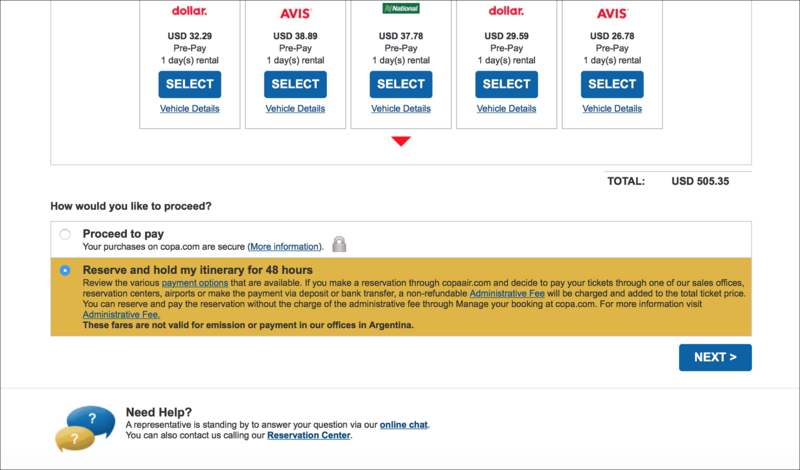 Whereas, travelvisabookings.com is good for flight reservations. since this site (https://travelvisabookings.com) looks genuine, i will use it, please how much to reserve flight ticket, and please , do you have idea how i can get travel medical certificate? please, do you know where i can get this medical insurance, does travelvisabookings.com offer it too? this site ok http://www.visitorscoverage.com? Chris, you can use travelvisabookings. You can send them your itinerary and the number of days, then they will send you the reservation which usually is valid for up to a week. Travel medical insurance is mandatory for Schengen visa. You can use vistorscoverage if you can find an inexpensive plan. But using a local provider may get you a good deal. Are you from the Philippines? If so, check out https://www.bpims.com/. thank you for the site, yes am situated in the Philippines sir, so i can use this https://www.bpims.com/. for travel medical insurance? but http://www.visitorscoverage.com seems cheaper, so is genuine site right? Yes Chris, you can use bpims.com for your travel medical insurance. Also, check this article from Aileen (https://iamaileen.com/how-to-apply-schengen-visa-embassy-belgium/) on how to apply for Schengen visa from the Philippines. Thanks for everything you shared here. It was the most exhaustive post on the internet I could find and that too from an Indian. Thanks a lot, Prithvi! I’m just a traveler helping fellow travelers. Yeah Chris, it does not matter if you use a foreign travel medical insurance company. Moien, 90 days is too long for a booking. It can also raise questions from the visa officer on why you want to stay in one place for 90 days. I suggest to break down that 90 days into 5-6 different bookings in different cities. 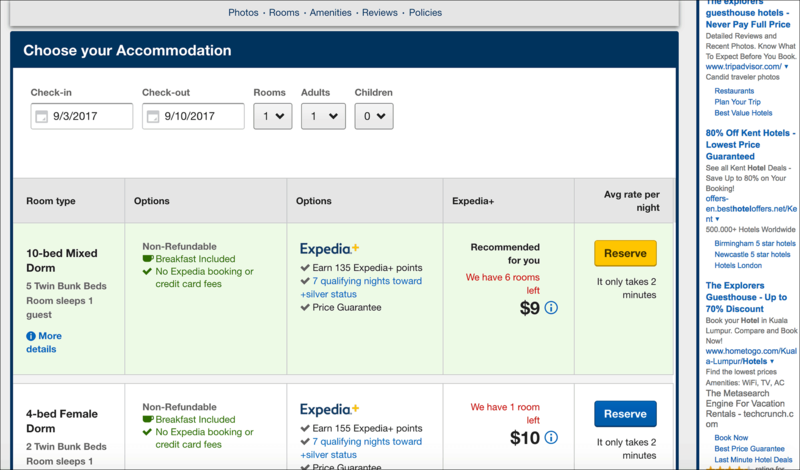 You can use Expedia or Booking.com for your hotel bookings. Yes, you can use your flight itinerary from Yatra. But it’s not a fake reservation. The tickets are held for a certain number of days after which they are released. The German consulate can verify the reservation if they need to. Thanks for this article. It is very informative! I have an Indian passport (‘powerless passport- this made me chuckle) but I am currently residing in the United States(work visa). I am planning a trip to the Schengen area – fly in and out of Amsterdam and probably visit Belgium and Germany while there. The documents specify bank statements – do you think online print outs will do fine? I am glad that these online sites that book the flight/hotel/insurance for you are genuine and I plan to use ‘travelvisabookings’. The question I have for you is that Indian passports or maybe it’s just my passport has my whole name listed under ‘given name’ and ‘surname’ is blank. Do you have any suggestions regarding this when it comes to filling out visa applications where they ask for first and last name? Thanks a lot for your time! Hi Nala! Haha yes, indeed our passports are weak and powerless. It’s not fair to go through so much struggle to secure visas. For bank statements, just the printouts are sufficient. You can download the PDFs from your bank website and then just print them out. TravelVisaBookings, of course, provide you with genuine reservation. All you have to do is just print them out. Or, you can also use the PNR number on the airline website and print the itinerary from there as well. sir, Turkey airline good to reserve ticket for 24 days for purpose of visa application? Yes, you can hold tickets on Turkish airlines. Also, try United airlines and Expedia. Which routes and what dates are you flying? Let me check and see if I can find something for you. dont want to continue using them, please poster, any other good source or site an applicant could reserve ticket itinerant please? Thanks for letting me know, Chris! If they are dishonest and don’t keep up their word, they do not deserve to be on this list. I will take them off this list. Sorry for the inconvenience! does it mean the turkish airline does not offer ticket resersation anymore sir? Chris! I just emailed you. Let me know your questions. Can you also send me info about Turkish Airlines hold option. I also cannot find it anywhere in their booking/checkout process. The hold option for Turkish Airlines is on the payment page (which is the last step). 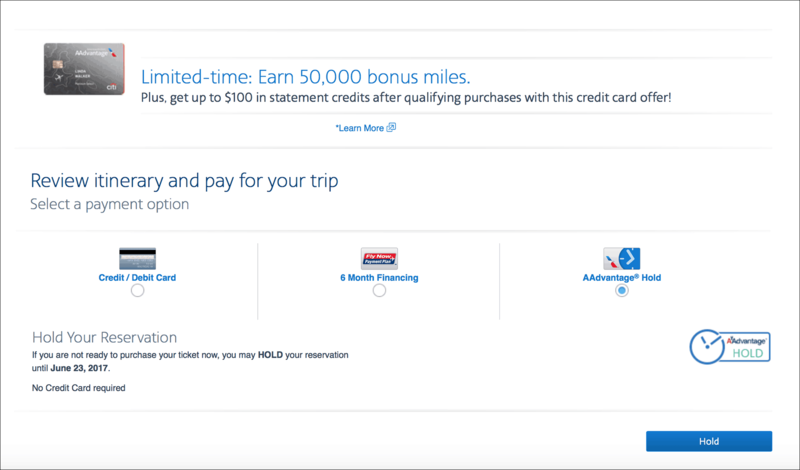 On the payment page, you will see 4 options – Express Checkout, Credit/Debit Card, Union Pay and the last option – “Reserve this flight and pay later”. As it takes 2-4 weeks for Visa processing. Can I hold the flight ticket for 30 days. Is there any flight booking site which holds ticket for 30 days . If I say I am travelling on May 20 . Do I need to I apply for Visa on April 20 as I have to hold ticket for minimum 30 days?. Hi Harshada! You don’t have to hold your tickets for 30 days. Canadian Consulates know this clearly and they won’t insist you on holding tickets for that long. Anywhere from 1-2 weeks should be fine. I have applied for Canada visa twice and in both cases, my flight reservations were valid for 1 week only. I didn’t have any issues at all and both times my visas were approved. I have used a local travel agent for my first time. For the second time, I have used the FareLock feature on United Airlines to hold my ticket for 7 days. Do you have any idea if the website “Flight Reservations for Visa” is legit? Yes, they are legit but I suggest to explore the FREE options first. If you want to go with “Flight Reservations for visa”, chat with them first to inquire about the fee, turn around time, how long the tickets will be valid, etc. Have you ever heard of Tripmasters.com? They provide an itinerary at no cost but I’m not sure if this will work for a Schengen Visa application because it doesn’t have my name. It’s basically just a quote but it shows specific flights, hotels and train info. Do you think this would work? Yes, I have heard about Tripmasters. But, the itinerary must have your name on it. Otherwise, the visa officers will not accept it as a valid flight itinerary. My husband ordered for me Flight,Hotel & Insurance Package and wrote the wrong last name (I still have my travel passport under my maiden name). I contacted them RIGHT AWAY in live chat, via website contact form and via customersupport email to let them know about the correction. I told them that I have a visa appointment soon and I need the papers ASAP. So 3 hours of delivery (as they promise on website) was exactly what I needed and could only wait for. I contacted them again 2 hours after my purchase and correction to remind about me. Both times they said they would take care of it and deliver everything on time. It’s been more than 4 hours since my order and correction. I contacted them again saying that they didn’t deliver as promised and I either need the papers right now or the refund. This time nobody even responded me via live chat – they just ignored me, just like they apparently have been ignoring my order all along! Now I’m going to miss my visa appointment because of them and not even sure if I can get another one in time to still make it to my June trip. HORRIBLE, HORRIBLE SCAM! Don’t fall for it, stay away! Hi Irina! I’m really sorry that you had to go through this. I’m hearing complaints about travelvisabookings.com. I don’t want others facing the same problem as you. I have removed them from the list. Let me know if travelvisabookings do not get back to you in time. I can try to see if someone else can help you with your itinerary. Nilesh, 3-day hold is perfectly fine for Schengen visa application. Consulates very well know that you cannot hold tickets for 2 weeks. So, my recommendation – go for Emirates. Regarding visareservation.com and other services, I recommend using the airlines’ services first if available. If none of those are available or don’t work for you, then go for visareservation.com, etc. Read through the entire thing but still have a question regarding holding flight tickets for UK visa. As you know UK visa may take up to 2 weeks for processing, so when do you think is the right time to book the “hold ticket”. Is it during filling the application or just before the biometrics appointment considering we can hold ticket up to 2 days and biometrics appointment is dependent on slot availability. I am planning to schedule an appointment a week post paying visa fee so when is it a good time for me to book “hold tickets”? Hi Sakshi! I suggest getting your “hold ticket” right before you submit or mail your documents. That way the ticket would be still valid when the consulate receives your application. Had another question regarding the residence proof. My passport is issued by a different city to the one i am currently residing in. Will a notarized rent agreement suffice as a valid and legal proof of residence? Will an airtel telephone bill be counted as a valid residential proof? Sakshi, Yes, rent agreement and airtel bill should work fine as a residence proof. But, is the UK visa application asking for a residence proof? Yes. There is a section which asks for proof of accommodation. It can be either property deed / tenancy agreement / letter from accountant / land registration document. The lease agreement i have is only notarized but not registered. Will that suffice as a tenancy agreement? Proof of accommodation usually means your accommodation details in the UK during your trip. Which is basically your hotel booking. I think there is some kind of confusion here. Can you send a screenshot or link to that page to my email thirumal@visatraveler.com? I would like to take a look and do some research. And is it advisable to carry travel or general medical insurance of travelling with parents who are 60+ in age? Will that make any difference? You can address the NOC letter to something like below. Good morning. Thanks for the post. Please, I’m applying for a schengen visa at the German Consulate. My appointment date is exactly 14 days from my flight itinerary’s departure date. I understand the visa processing time is minimum of 14days. Would this be an issue for me? If yes, please what should I do? Thank you. Hi Syl! 14 days should be enough for the German consulate to process your visa. Did you already purchase your flight tickets? If not, just allow at least 3 weeks between the visa application and travel date. I am planning to go to Denmark. I need to book an itinerary ticket from Pakistan. Please suggest the best and cheapest available website for booking the ticket. Plus also guide regarding the travel and medical insurance policy. For travel itinerary, I suggest getting a flight itinerary directly from an airline over using an online travel agent. You can use any of the options I have suggested in this article. But if you must use an online travel agent, any agent is fine. Their services range from $20-$30. Regarding travel insurance for your Schengen visa, you can purchase a cheap insurance from any insurance provider. If you plan to purchase from an online travel agent, you can simply purchase a package that includes flight tickets, hotel reservations, and insurance. Note: DO NOT purchase actual flight tickets before your visa is approved. Hello sir, I want to visit Canada on a tourist visa and one of the required document is flight itinerary. But I don’t want to take risk of that money. Please suggest me an alternate. Hi Kamaljeet! Consulates know that the visa results are hard to predict. Therefore they DO NOT ask for purchased flight tickets. They only ask for an itinerary, which means just “holding” your flight tickets. You will buy them after your visa is approved. 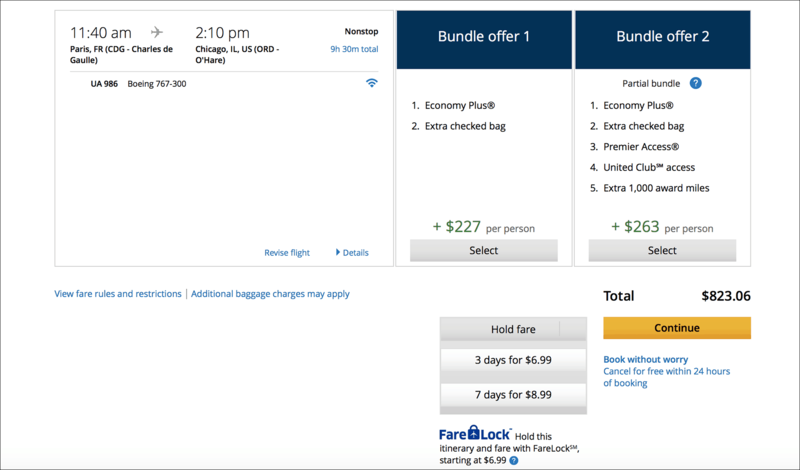 For your Canada visa application, you can use United Airlines’ Farelock where you can hold tickets for 7 days for $8.99. You can also use Yatra.com to hold tickets for 3 days for free. Check steps 6 and 7 in this article. Canada visa process takes about 30 days and the consulate knows that it’s not possible to hold tickets that long. So, holding tickets for 3 or 7 days is perfectly fine for your Canada visa application. Good luck! Sir, thanks for kind word and help. I plan to use travelvisabookings.com to provide an itinerary for my traveling document b/cos flight, hotel reservation, insurance including Free Personal covering letter but what am hearing them brought doubt about them. Please, do you know any genuine site that offers the same service? I think they charge $70 for flight, hotel reservation, insurance including Free Personal covering letter. Paul, it’s difficult to say which are genuine and which are not. It depends on personal experience. Some had a good experience and some had a bad experience with them. Just talk to them up front and make sure there no hidden charges. Another site you can try is https://visareservation.com/. Talk to them as well before you pay. My personal advice is to get flight, hotel, and insurance all by yourself. It takes a bit of work but completely free. Paul, just look up these below options in this article. They are all free or costs very little or completely refundable. Just pick the option that works for you and your visa needs. Is travel insurance mandatory for UK visa? Also, how do i go back to my saved application? I am not able to find. Hi Somin! Travel insurance is not needed for UK visa. You should be able to go back to the application. Did you save the URL somewhere? If not, try starting from here -> https://visas-immigration.service.gov.uk/alt-language-selection-skip-visa. The contents of the site are superb and thanks for your good advice! However, I would like you to put me thru in this area. I don’t have an invitation letter to support my documents for the tourist visa and secondly how much money should I have in my bank account? Since there is no sponsor, will I have more chances to get the visa approved for Europe and USA Visa, though my company promises to give me employment letter and payslip? Azagba, Thanks! Invitation letters and sponsorships are not really necessary. Just apply as a tourist and you will have more chances of approval. Regarding funds in the bank, you should have enough for your trip. What really helps is your travel history. So, firstly try to travel to as many countries as you can. Hi Vedant! You don’t need to show flight bookings for US visa. For Schengen, you can use yatra.com’s “hold” feature to hold tickets for 3+ days. If you hold Air India flights, they are usually held up to 7 days. Many Indian readers have used Yatra for their Schengen applications and it was perfectly fine. Thanks for your post. It was really helpful. However, have few queries below. For applying a tourist UK Visa, do we also need a letter from employer too as a proof of leave consent if I am working. Also, could you please share the list of documents which is required for getting a tourist visa for UK. Hi Rakhi! UK visa application doesn’t ask specifically for a leave approval letter. But I have seen quite a few cases approved/denied based on that particular document. I’m assuming that leave approval letter works as a reaffirmation of strong ties to one’s home country. If you want to have higher chances of approval, I suggest including a leave approval letter from your employer. For documents required for UK visa application, refer to my UK visa guide. I have listed out all the documents needed in that article. Hi Thirumal, thanks a lot for such nice and detailed article! 1. How many days in advance I can apply for Visa, because advance visa is suppose to help me better preparation and flight booking(earliest is best). 2. Do I need to upload the complete itinerary each time I apply Visa in Embassies for each country? 3. Is VOA best option for me as Indian and a budget traveller(yes I will not tell them that). 4. Does VOA option also requires to show complete itinerary? 5. My actual plan is to use flight only for ENTRY and EXITING time from starting to end of the total trip as I am travelling on budget. Therefore, HOW THE CHEAP AND BEST WAY I should show confirmed RETURN TICKET to each country without really booking a confirmed ticket? Can REFUNDABLE TICKET with VOA be the only good option OR there may be other better ways to do that(I am not a frequent flier though)? 6. Are HOSTEL BOOKINGS accepted in Visa approval? Hi Sajju! That’s a very good itinerary. You will have a great time. 1. You can apply for most visas up to 3 months in advance. In your case, you can get VoA at all of those countries (Laos, Vietnam, Cambodia and Thailand). You get 1 month entry in Laos, Vietnam and Cambodia and 15 days entry in Thailand. 2. You don’t have to upload/submit a complete itinerary. You just have to submit your inbound flight, outbound flight and hostel bookings. 3. Yes. VOA may cost you slightly more. But compared to all the leg work you need to do for consulate visas, it comes down to the same price. Most consulates are in New Delhi and if don’t live in New Delhi, you would be spending a lot more on traveling to Delhi for visas. 4. It depends on the country. You don’t need a visa for Laos. For Cambodia and Vietnam, do documentation is needed. You need a hostel booking and outbound flight for Thailand. 5. I have outlined a few ways to get RETURN/ONWARD ticket for VoA in this article. Check it out. The cheapest option for you is to take buses from country to country. 6. Yes, hostel bookings are accepted. Vietnam – India passport holders can get eVisa for 30 days for $25 USD. No documentation needed. Processing takes 2 working days. India passport holders can also get VoA for 30 days or 3 months. You must get an approval letter prior to arriving in Vietnam. Approval letter costs about $10 USD. Plus, VoA fee at the airport is $25 USD. Approval letter takes 2 working days. 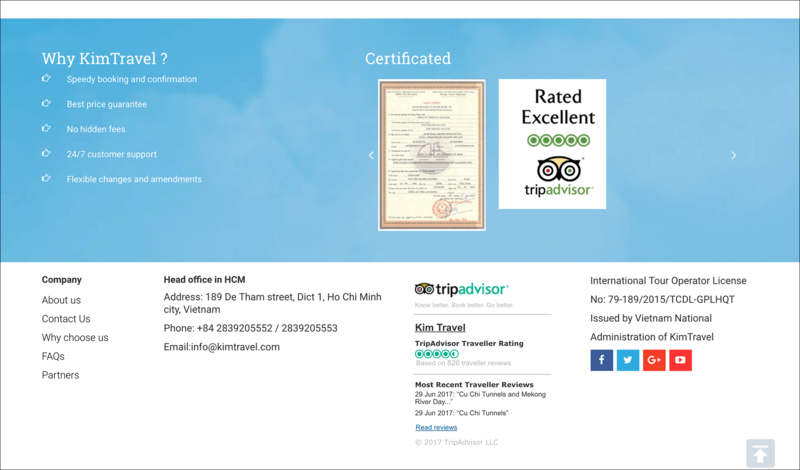 More info at Vietnam Visa Guide. Cambodia – India passport holders can get VoA for 30 days for $30 USD. More info at Cambodia Visa Guide. Thailand – India passport holders can get VoA for 15 days for 2000 THB. Thailand is waiving the VoA fee until the end of Jan. So, if you go before the end of Jan, the fee is 0. After that, it’s 2000 THB. You can also apply for a pre-approved visa from Thai consulate or VFS. It’s free of charge through Thai consulate and VFS changes some fee. More info at Thailand Visa Guide. Greatly appreciate the advice you are providing here to fellow travellers! I have a few questions on my imminent trip to UK and Europe (traveling on Indian passport). I would be traveling with my parents, both retired and live in India. They are not dependents and have their own source of income. My plan is to first visit UK for 4 days, then travel to France, Switzerland and return to India from Italy. I am currently working as a freelance business consultant, so no ’employer’ as such. In the past I have lived in France for 3 years and have traveled to UK from France on a visitor visa. 1. My trip will be total 20-22 days, split between UK-4, France-7, Swiss-4, Italy-7. I am going as a tourist but will be also attending an university reunion one full day in France, which is the main motivation for the trip. I want to apply for the Schengen visa first (at the French Consulate), then for the UK visa. Is this a good strategy, considering France is my main reason for the trip. or do you advise to apply the UK one first, then France? My reasoning being, the Schengen visa would increase my chance for the UK one. 2. I read in one of your earlier responses to show travel itinerary just for only 1 country for the visa (using hotel bookings and flight reservation for 3-4 places in that country) instead of showing many countries. Is this a good option in my case i.e. to show only French hotel bookings and flight reservations. In that case, would there be incentive for requesting multiple entries. 3. Do I need internal train/bus bookings in France and from UK to France while applying for both UK and Schengen visa. 4. As a self-employed person, I have bank statements, last tax return and invoices for my income. I do not have any leave approval or salary slips. What else can I provide to strengthen our application and prove ties to India (It might be worthwhile to mention here that I am not going for any professional reason, although my primary client now is a French one). I was thinking of showing my family’s property ownership in India, Aadhaar card for all family members (my brother and his family who are not traveling with us, niece’s school ID etc). Hi! I apologize for such a late response! 1. It doesn’t matter much. I have known readers who have applied for the UK visa first and Schengen later. They had similar itineraries comprising a trip to UK and Europe. In my opinion, going for the UK visa first is better since your passport will be away at the UK consulate for almost 30 days. You can neither track your visa status nor talk to someone at the consulate. It can be annoying if you already had your Schengen visa and the travel dates are approaching. But, if you like to go with Schengen visa first, I suggest applying for Schengen well in advance so you will not panic while your passport is away at the UK consulate for over 30 days. Apply for Schengen at least 3 months before your travel dates. Even if Schengen takes 30 days, you will still have about 60 days to sort out your UK situation. 2. Showing an itinerary for just one country makes it simple and manageable. You don’t need train tickets or make too many hotel reservations. Since this is not your first Schengen visa, (a) you will get a multiple-entry visa and (b) the visa validity would be 90 days or more. 3. Internal train/bus bookings depend on whether you would like to show the entire itinerary or just France. If entire itinerary, then yes, you will have to show internal train/bus bookings as well. Easiest would be to show refundable flight tickets between countries. If you are applying for Schengen visa first, I suggest providing flight tickets in and out of Schengen region. Otherwise, the Schengen visa officials would like to see if you already have a UK visa. If you are applying for a UK visa first, I suggest providing flight tickets in and out of the UK. This removes the necessity to provide a copy of your Schengen visa with your UK visa application. 4. Being employed is definitely a strong tie with one’s home country. But, you are strong in other areas such as travel history, which will compensate for you being self-employed. Bank statements, tax returns and invoices are sufficient in your case. Provide any client contracts if you have. Yes, those documents for your family ties will help definitely help. That is some great advice there. Thank you! So basically you are saying keep things simple for the first visa. If applying for UK first, show in and out flight tickets for UK only. If Schengen visa first, then show in and out tickets from there only. My travel dates are end of May; so I plan to apply in the beginning of March for the first visa. 2 questions about UK visa. 1. I understand medical insurance is mandatory for Schengen visa. Is it mandatory for UK visa too? 2. The bank statements and income tax returns are needed for 3 months and 3 years respectively? 1. Medical insurance is NOT REQUIRED for the UK visa. 2. I know that you would need 3 months of bank statements. But, I’m not very sure about tax returns. In my opinion, there is no harm in providing more tax returns. Go for 3 years if you have. Hi Thirumal, thanks for the article! I got just refusal latter on 15 Feb 19 with reason no. 8 The information submitted regarding the justification for the purpose and condition of the intended stay was not reliable. Last year, Feb 18 I was refused by Netherlands embassy reason 2. justification for the purpose and condition of intended stay was not provided and reason no 9. your intention to leave territory could not be ascertained. Because during the telephonic interview I could not answer the hotel name and address. at that time also not submitted my business license. Applied as freelancer, also no travel history, so refused. Then in a week reapply in Czech republic again refused with the same reason 2 and 9. This time doing a lot of research. All thing makes perfect, bank balance, my property paper, mutual fund, CA certificate, my business license, there is no fault in the paper. 1. Is it a problem with the ticket or any? 3. Should I try in any other Schengen country or should I wait for next year? 4. This three refusal impact on other county application, like Australia? 5. Is there any option to physically go direct embassy for visa application? Please help me to take the decision. Hi Bakul! Before I answer your questions, let me clarify the reasons of your visa refusal and offer some suggestions first. 2. Your itinerary was not clear and detailed. Visa officers couldn’t understand what all places you will be touring, how you will be going from place to place, where will you be staying, how long you will stay in each place, etc. It could be. Did you verify the authenticity of the tickets after you got them from Schengen Visa Reservation? Also, did you provide internal flight/train/bus tickets? Package tour will not improve your chances either. You have several rejections already and if keep trying, the consulates sense desperation and assume that it could be an illegal immigration attempt. All Schengen countries can see your previous visa denials. So, it doesn’t really matter which embassy you apply from. You would need to figure what you are lacking and must fix that before. Embassy or country doesn’t really affect your result. I think so. I don’t have evidence to prove, but most countries have access to visas and traveler information. I found out recently that UK can now check anyone’s US visa attempts, US can check for any Canada visa attempts, and so on. So, I’m certain that most countries now have access to visas and travel information. Yes. Not all Schengen countries use VFS for visa processing. I think Spain, Belgium, Sweden, etc are still consulate based. 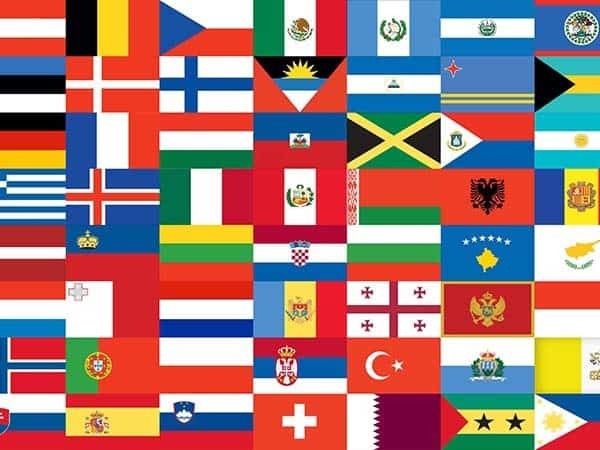 Check the websites of other Schengen country consulates for details. Many many thanks Thirumal for your wide reply! I’m a big fan of you as one is for a film star. How can I verify Air reservation/ticket (15 days blocked fight itinerary) that I got from Schengen visa flight reservation? Is the whole family visa I demanded is the problem? Should I apply for couple only? I live with my mother father but not submitted ration card. Now with your suggestion decided to postpone Europe trip, and want to go elsewhere, to develop travel history, I completed Singapore, Malaysia, Srilanka. My new travel history is will helpful for my future plan for Europe trip? Europe trip is my big aim in my life, where should I go to improve travel history? Thanks, Bakul for the kind words! “Big fan of you as one is for a film star” makes be chukle, thanks a lot!! You can verify the reservation/ticket on that particular airline website. There are also third-party websites/apps such as CheckMyTrip where you can verify your reservation. Applying for the entire family is not a problem if you have really strong ties with your country. If you don’t have strong ties with your country, I suggest traveling as a couple rather than the entire family. My new travel history will be helpful for my future plan for Europe trip? Yes. That will definitely help you in your future Schengen visas. Travel to countries that issue visa stickers in your passport. VOA countries that issue visa stickers are Thailand, Cambodia, Vietnam, Indonesia, etc. Visa required countries that issue visa stickers are UAE, South Korea, Japan, etc. Thirumal, for an UK visa, what kind of things would be considered as ‘Evidence of family members remaining in your home country whilst you travel’? Any help regarding the Canadian tourist visa ! I’ve started my online application but I faced an issue regarding the travel itinerary. 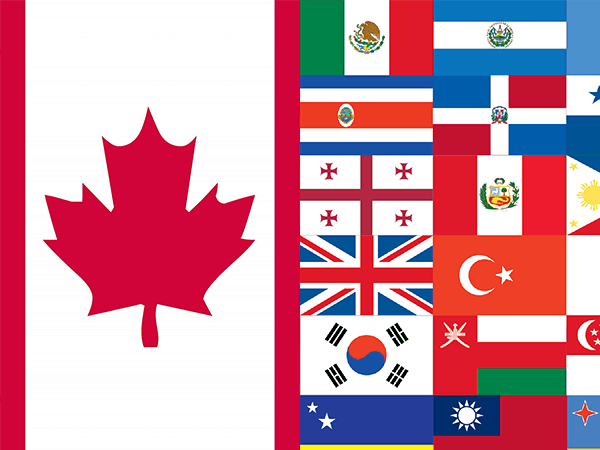 Canadian Visa usually takes 6 weeks processing time, How I can get a travel itinerary a free as the visa is not guaranteed at all for my nationality? Hi Yousif! It’s extremely difficult to hold a flight ticket for 6 weeks. Consulates know this and they don’t insist you on holding a ticket for that long. If you can hold a ticket for 1-2 weeks, you will be fine for Canada visa. I suggest using the United Airline’s Farelock for 7 days. 2- Since I will be travelling Solo I plan to stay in Hostels mainly, its compulsory to submit details of where you’ll be staying during your visit like address and telephone number. So here too I have to check refundable options? 4- I am working as a freelancer in Advertising as a Casting Director, what all documents embassy might demand to prove my nature of job? Hi Shikha! Apologize for such a delayed response. Here is what I think. 1. 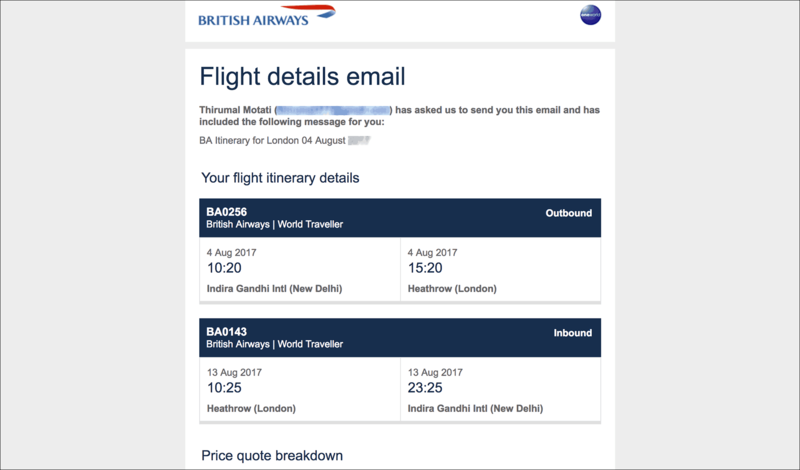 For the UK visa, you can use the “email price quote” option from British Airways or “3-day hold” option from yatra.com. I have had readers use both those options without any issues for their UK visas. 2. Yes, you must furnish the details on where you will be staying during your trip. You can book hotels/hostels that offer “refundable and pay-at-the-property”. Cancel the bookings after your visa is approved. 3. If you have been living in Mumbai for long enough, you must apply from Mumbai. UK consulate does background checks and it can complicate if you try to show that you live in Delhi. You can provide your rental lease/contract in Mumbai and the rest of the documentation from Delhi. 4. As a freelancer, you have to provide your self-employment registration, income statements, bank statements, invoices, client contracts, portfolio, annual tax returns, etc. You don’t have to provide all of it but the more proofs you have the better it is. You are doing pretty nice work here. Please, can E-mail price quote from airlines be used for Schengen visa application? Thanks. Hi Go! I haven’t used the “email price quote” for Schengen visa myself. I haven’t seen any of my readers use it as well. So, I cannot say for sure if it works or not. This is Very Helpful information! But need more information from you! I was planning to apply for the NZ and AU tourist visas. Currently, I have a flight reservation and are valid for 2 months. I don’t have the travel plan itinerary from place to place yet. Because I am not traveling with tour guide or family, but traveling alone. 1) Can the travel agents or tour agents making a fake travel itinerary for me just for applications visa? 2) Can we make a travel itinerary without hotel booking but just indicate which place we going to visit? 3) Is it necessary to state the time as well like what time we are going to visit the place? 4) Can I make it simple and short for the itinerary? Or the embassy want details of day to day travel itinerary? Like place A (what you gonna do today, need to list out for whole days activities), and the next day place B and so on. Hi Shane! I have never been to AU and/or NZ. So I’m not too aware of the AU/NZ visa requirements and procedure. But I will try to answer your question for any visa in general. 1) Yes. Travel agents can make a travel itinerary for you. But all you need is a couple of hotel bookings and an itinerary (a sheet of paper with dates and places). It’s so easy and simple and there is no need to pay a travel agent for this. Example: If you will be traveling for 18 days in Australia, pick any 3 places, say Sydney, Melbourne and Brisbane. Make 3 “refundable” hotel reservations, each 6 days. One in Sydney, one in Melbourne and one in Brisbane. Cancel them after your visa is approved. Write 18 days itinerary in an A4 sheet such as below. Do a Google search such as “places to see in Sydney” to find 3-5 places in Sydney. Similarly in other places. You can handwrite this or type in MS word and print. 2) Yes. But most visa applications ask for flight and hotel bookings. 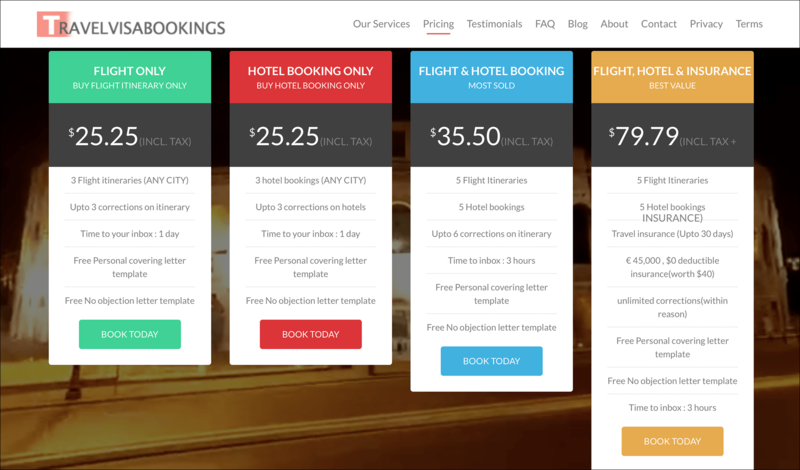 You can make “refundable and pay-at-check-in” hotel bookings without paying anything. Once your visa is approved, cancel those bookings. 3) No. Just the dates in a given city. 4) Simple and short is fine. Some applications such as Schengen wants to show a detailed itinerary since multiple countries are involved in some traveler’s itineraries. But for AU and NZ just the dates in each city is sufficient and list out the places you will visit in each city. Very good article. I am in a complicated situation at this point in time. I have booked tickets From Chicago – Frankfurt – Chennai through Lufthansa. My H1 stamped visa is expired on December 2016 but I have a valid visa extension approved until Jan 2020. After going through a lot of forums I see that the airline would need a Transit Visa for the itinerary even though I am traveling to my home country. For apply Transit Visa to Germany, I do not have the appointments online before my travel date. So I thought I could apply for a tourist visa to Japan so that I won’t need a transit visa. But Japan visa condition say I would need an itinerary for visa application and a valid ticket to pick the visa for approval. What should I do? Please help! Hi Prasanth! Yes, unfortunately, you would need a “valid” US visa to transit through Germany. For Japan visa, I suggest booking a “refundable” flight ticket. It would cost you a lot but you will be able to get a full refund when you cancel it. That way, you can use it as your flight itinerary for your visa as well as a valid ticket to pick up your visa. 1) Does Schengen or UK visa help in any way to enter UAE (especially Dubai) for 1-2 days? I am planning to spend 1-2 days in Dubai during my return from Europe. What’s the best way to get the permit for 2 days for Dubai? 2) Perhaps a frequent traveler like you can shed some light on this. I have a 5-year multiple entry Schengen visa issued by France. Do I need to have either an entry or exit stamp from France each time I travel to the Schengen countries? I mean can I avoid visiting France altogether on a particular visit; say enter through Italy and exit through Spain? I would definitely be visiting France within the 5 years but how do I travel to other Schengen countries without passing through France every time, especially the Nordic ones which have strict controls in place. 3) Which cities can you recommend for 2 nights stay as a halt while returning from Rome to Delhi, preferably within 2-3 hrs flight from Rome? 1. Unfortunately no. You CANNOT use a Schengen or UK visa to enter UAE. You would NEED a residence permit in any EU country or UK. The easiest way to obtain a UAE visa is to secure one from the airline or hotel in UAE. Emirates and Etihad airlines arrange UAE visas for their customers. Also, pretty much every hotel in Dubai arranges UAE visas for their customers. 2. You can, of course, arrive and depart from any Schengen country without even traveling through the country that issued the visa. A Schengen visa is valid for the entire Schengen zone and all participating countries will have your visa details in their systems. It doesn’t make any sense to apply for a Schengen visa from Italy when you have a valid Schengen visa from France already. And, the Schengen visa is valid for the entire Schengen zone. That being said, there is a fine line between necessity and visa abuse. If the authorities feel that you are abusing your Schengen visa, they may question you. If you are a frequent traveler and have tons of travel history, you will not be questioned at all. 3. I recommend either Istanbul or Dubai. Both these cities are fantastic for a layover of a couple of days or more. Many flights from EU fly to India via these two cities. It’s quite easy to secure a visa for UAE from the airline or hotel. Since you hold a Schengen visa, you can secure an eVisa for Turkey. An excellent blog on how to get a travel itinerary. I am traveling to Sweden in July and would like to know the best option to book an itinerary. Would blocking a ticket via Yatra work? Or do I need to look at other options you have suggested in your blog? Hi JM! If you can afford, go for a “refundable ticket” since Swedish (Finnish as well) embassy is quite strict. If not, Yatra would work as well. I have seen Yatra itineraries work for France, Switzerland and Italy embassies. Thanks Thirumal. Would it make sense to block a ticket using one of the travel agents you have shared above? Is it valid for applying to the Swedish Embassy? Hi JM! Yes, they all provide travel itineraries for Schengen visas. Make sure you talk/chat with them about the validity of the ticket and any hidden fees before placing the order with them. Thanks for this blog and your time Thirumal. I am from India and I want to apply for Canadian visitor visa for 30 days. I have tried Turkish Airlines but there is no hold and pay later option for me, I want to add that Turkish Airlines had connecting flight with Air Canada from Toronto to Vancouver, is that the reason option was not available? Please guide me to get hold on airline tickets so that I can apply for it. I want to fly from New Delhi to Vancouver in the month of August, 2019. Hi Harsimran! Partner airlines, origin and date of travel affect the hold period. In your case, you can try United Airline’s Farelock, if available. If not, try one of those online travel agents that can hold your ticket for at least 7 days. A BIG THANK YOU to you for your time and efforts in answering questions and helping fellow travelers! Your advice is clear and very informative, you are doing an awesome job! 1. Various forums say Schengen visa validity is 90 days from date of entry. But on application, if I give travel dates July 1 to 15, I’ll get the visa for only those dates, right? Then how validity is 90 days from date of entry? I’m confused. 2. I am planning to add buffer days to my plan so that visa is valid for 20-22 days rather than 15 days. Is this right strategy or do visa office add buffer days themselves? 3. Also, I’ll be in the UK for only 3 days, so UK visa will be valid for only those dates? 4. Finally, I know it takes approx. 15-20 days to get Schengen visa and another 15-20 days for UK visa. If I start with Schengen in last week of April, with travel dates July 1 to 15, and then apply for the UK, do you think I’ll have enough margin between getting the passport back and travel as planned? I can move my travel dates to July 15 to 30 if I don’t get the UK visa in time. But then my Schengen visa will show the validity of July 1 to 15!! Again confused with validity. Hi Anonymous! In a situation like your’s, I usually suggest applying for the UK visa first and then Schengen visa. UK visa is always issued with 6-month validity whereas Schengen visa is random, sometimes 90 days or sometimes just for the number of days you have asked for. 1. Schengen visa validity depends on many factors – country, consulate, itinerary, whether it’s the first Schengen application, etc. It’s really difficult to figure if they will issue a 90-day visa for you. 2. They usually add buffer days themselves. For example: when I applied for my Schengen visa from Spain consulate, I asked for 21 days. They gave me a 30-day visa. You can add a few buffer days from your side as well for just in case. 3. No. UK visa minimum validity is 6 months. The visa validty starts from the date of issue. 4. I suggest two things – (1) move your travel dates to July 15-30 and (2) apply for your UK visa first. UK visa takes about 30 days. Your passport will be at the consulate for those entire 30 days. There won’t be an option for you to know your visa status during those 30 days. It can be very stressful if you apply for your UK visa after your Schengen visa. One more suggestion. If you can, do two trips. One EU only and one UK only. One now and one some other time. Since you will be traveling from the US, there are cheap flights all the time to EU or UK. There is no need to combine both EU and UK in one trip and complicate your visa situation.